hotspots that Cape Town is fast becoming known for. Start your food-and-drink adventure at The Cellars-Hohenort itself, where Cape Town’s only Relais & Châteaux Grand Chef, Peter Tempelhoff, presides over our two restaurants, Greenhouse and The Conservatory. Taste the bounty of the Constantia Valley that surrounds you at The Conservatory. Constructed around a giant, 300-year-old oak tree, therestaurant serves breakfast, lunch, delicious high tea and dinner in the most beautiful setting. The cuisine is innovative yet timeless, with an emphasis on fresh produce, much of which is grown in the hotel’s nine-acre garden. Traveller’s tip: If you’re looking for something light, why not try our low-carb high tea at The Conservatory – all the taste without the guilt! 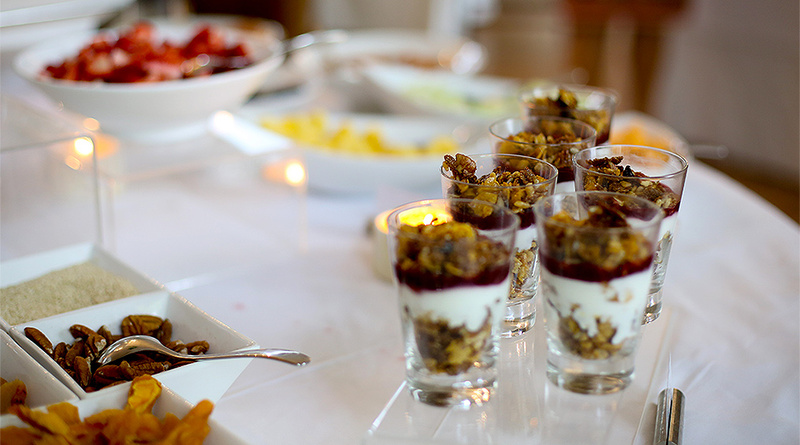 Enjoy a fresh, delicious breakfast at The Conservatory for a taste of local produce. No trip is complete without a tasting menu experience at The Cellars-Hohenort’s flagship restaurant, Greenhouse. Here, the cuisine is inspired by South Africa’s eclectic and diverse cultures, indigenous ingredients and local storytelling, and the dishes are presented with flair. 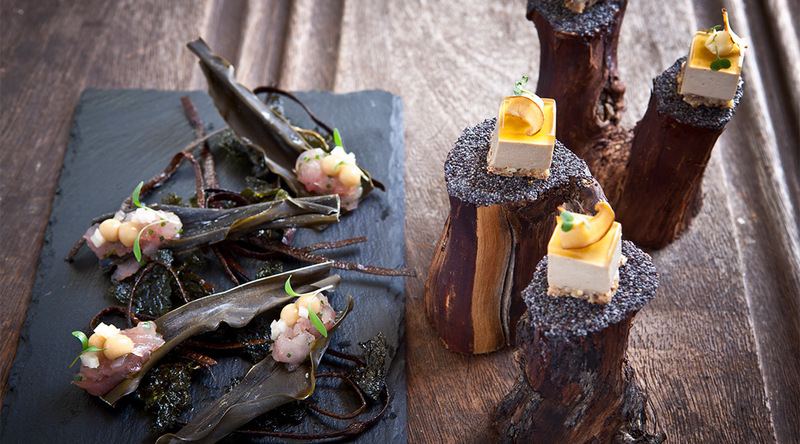 Just a small taste of Greenhouse’s seasonal gastronomic surprises. The Cellars-Hohenort is set in the midst of Constantia, known as ‘Cape Town’s Vineyard’; from this location guests can explore the surrounding valley, which forms South Africa’s most historic wine region. 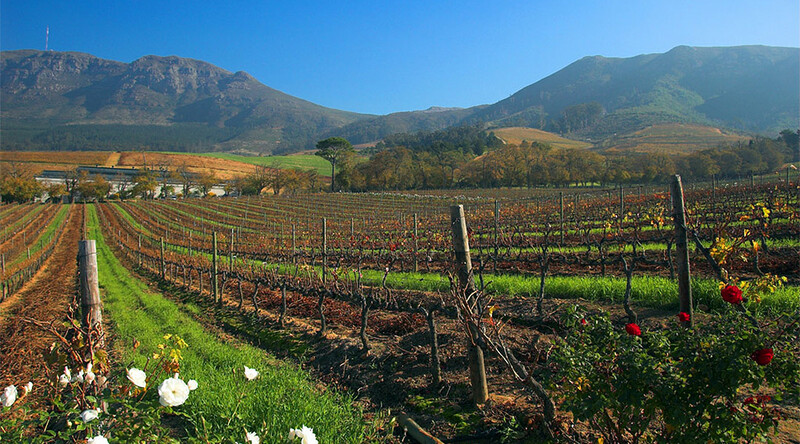 Make your way through the mountain side of green corridors and trees for some of South Africa’s best wines. Many of these wine estates boast world-class restaurants, too. For a sense of history, pay a visit to Groot Constantia; the more than 300-year-old wine farm has a museum, as well as award-winning wines, to explore. Then, for one of the best views in the valley, head to Constantia Glen. Afterwards, take the whole family for a picnic on the lawn at Buitenverwachting wine estate. Traveller’s tip: We highly recommend visiting Buitenverwachting, Eagle’s Nest, Groot Constantia and Klein Constantia, but there are many, many others. Our travel desk will help you plan your Constantia Wine Route journey, and has maps on hand too! From Constantia, there is easy access to other famous Cape wine regions, such as Stellenbosch, Franschhoek, Paarl and Hemel-en-Aarde. The Cellars-Hohenort is located in the heart of the Constantia Valley, home to one of the oldest wine estates in the Cape of Good Hope. Cape Town has a thriving market culture. Visitors can mingle with the residents and shop for seasonal produce and gourmet goods, while enjoying live music, craft beer and local wines. Exploring the markets will take you from the forests of Tokai to the urban centre, and beyond. Visitors will get a snapshot of the city’s diverse and unique culture by visiting top markets such as the Bay Harbour Market in Hout Bay; the Neighbourgoods Market at the Old Biscuit Mill in Woodstock, where designers and artisanal food producers meet; and the Oranjezicht City Farm, a community farming project with a weekly market at the V&A Waterfront. Traveller’s tip: The best day for markets in Cape Town is on a Saturday, and the earlier you get there the better – you don’t want to arrive too late to find everything sold out! 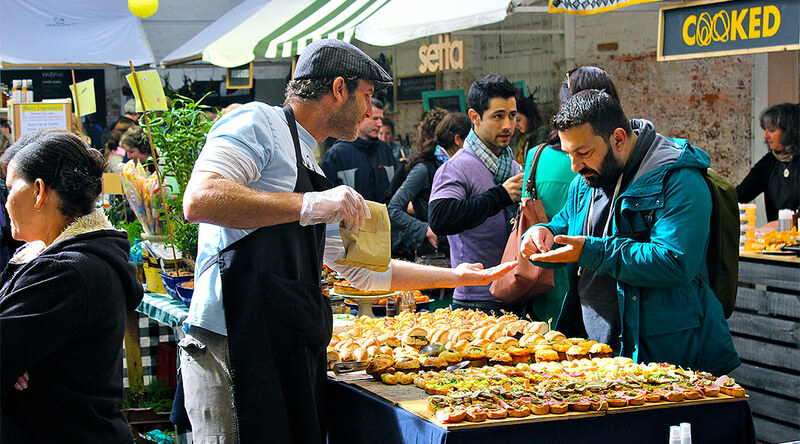 Cape Town’s markets will give you the chance to live local while visiting. Your foodie journey continues into Bo-Kaap, Cape Town’s old Malay Quarter and one of the oldest parts of the city. It is a patchwork of brightly painted historic houses, cobbled streets and a network of restaurants and cafés. Here visitors can sample Cape Malay cuisine, traditional food originating in the 17th century. Wander down Rose Street for fragrant rotis, curries and samoosas. An interesting coffee spot can be found further down on Buitenkant Street, within one of the city’s most creative hubs: The Haas Collective. Here, hand-roasted coffee and art meld in a unique experience. Cape Town has many other such gems, such as Truth Coffee Roasting, Yours Truly and Deluxe Coffee Works, to name a few. 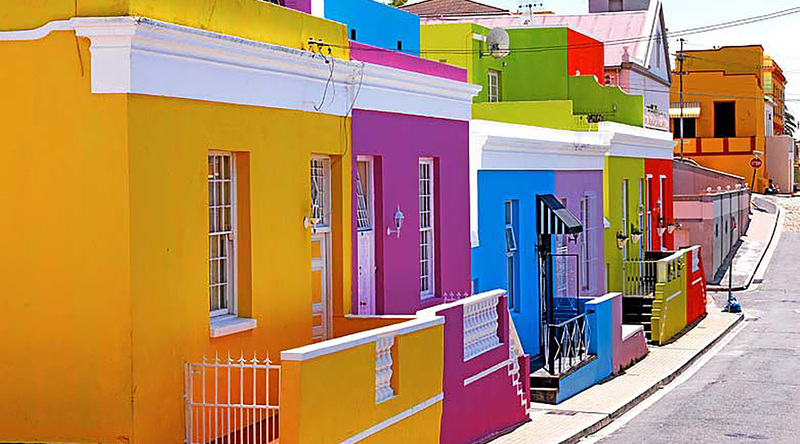 The colourful streets of Bo-Kaap.